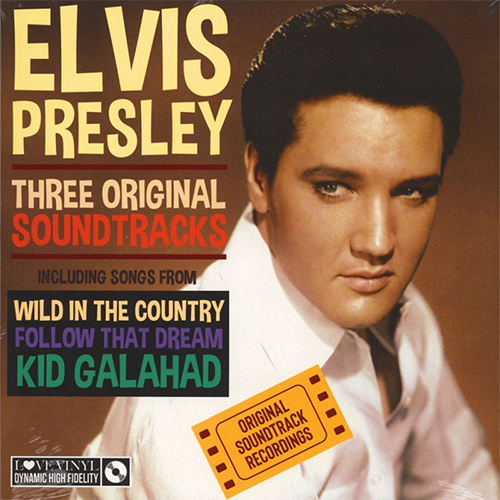 My Generation Music released the LP "Elvis Presley - Three Original Soundtracks", containing songs from the movies "Wild In The Country", "Follow That Dream" and "Kid Galahad", and the soundtrack LP of “Girls! Girls! Girls!”. You made the machinery in my head work overtime with your comment Gladyslove but then I looked up your profile and found out you are male !!! I shall put the smelling salts away now. What I like about that releases ??? The women with Elvis in the little boat, especially the one with the red bikini, she is stunning. Oh, I nearly forgot to say that I also like the music. Hmm if the first album had all the songs from Wild in the Country I would have definitely bought it.